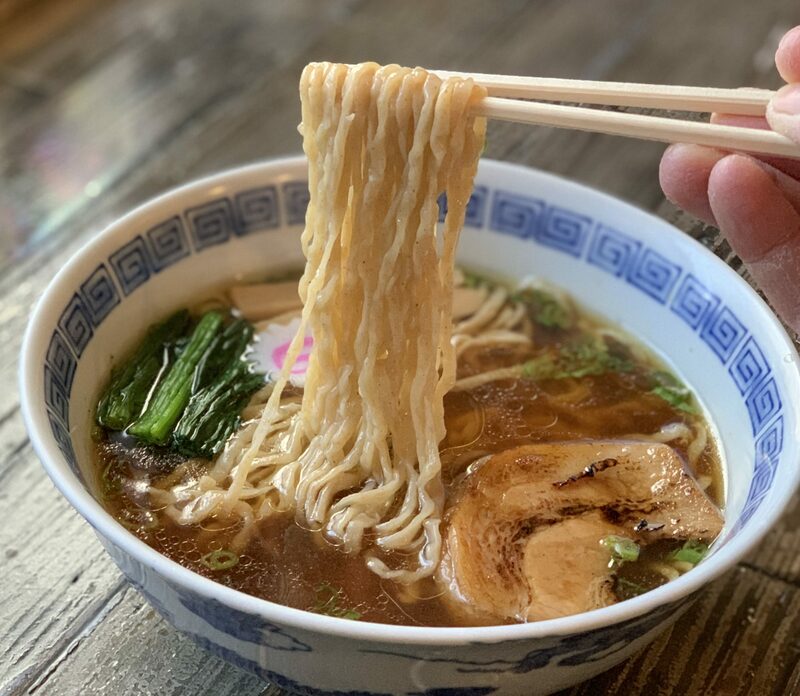 I’ve passed by this place many times on my way to the soft tofu restaurant a few doors down and never knew that they had ramen until now. I always thought it was just a non-authentic japanese fast-food hole-in-the-wall with a non-japanese owner. Well, I was half correct. They are japanese owned. The name also sounds familiar. 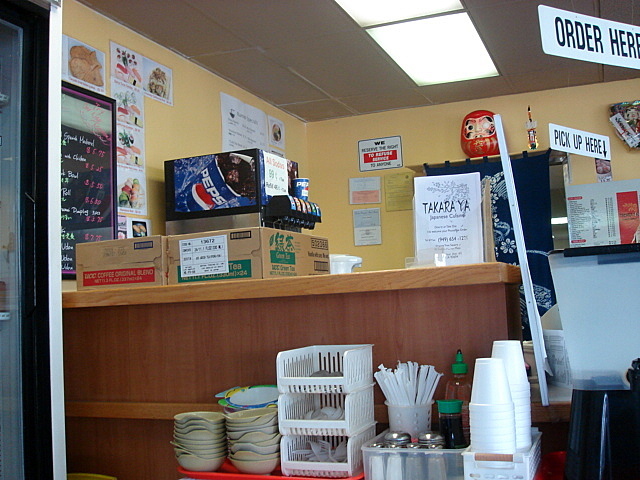 There used to be a Takaraya in Costa Mesa where Mentatsu is now located. Considering the Costa Mesa one was a full-fledged ramen-ya, this Irvine joint doesn’t appear to be its predecessor. Shoyu-ramen: Unimpressive. The noodles were way too soft. The worst buzz kill. The soup on the other hand was decent. The mushroom smell was surprisingly bearable and very light tasting. 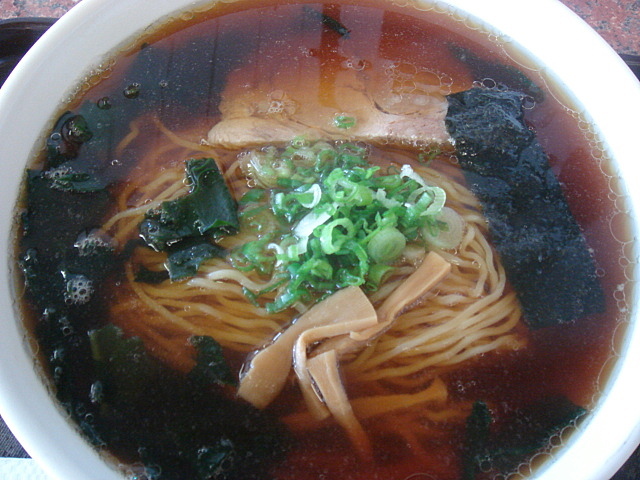 And for the toppings (chashu, menma, seaweed, negi, and a piece of nori)…did this ramen have toppings? Enough said. Perhaps I would have noticed them if the noodles weren’t cooked so long. I think I’ll continue to pass by this place for the soft tofu. 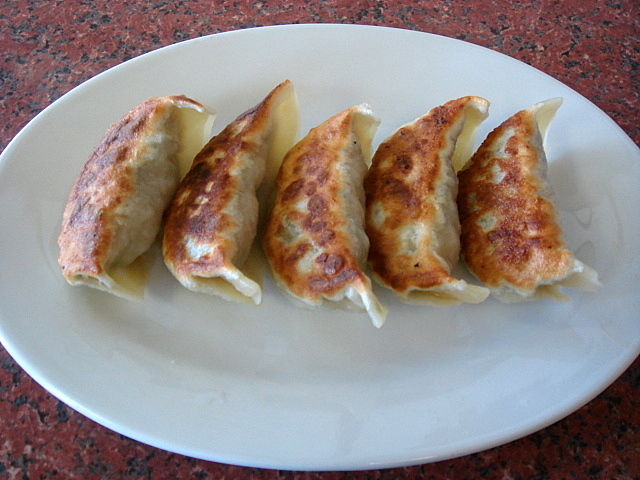 Gyoza: Plenty of garlic and that’s about it. I think if I closed my eyes while biting in, I might of thought it was a roasted garlic. I recommend soaking them in shoyu for at least 10 seconds. Haha, so I *wasn’t* dreaming when I thought I smelled mushrooms! I mean, it’s not necessarily a bad smell…just unexpected.